Hyalgan, an injection part of the Viscosupplements used to treat osteoarthritis, will work by lubricating the joints to help reduce any pain felt. Similar to the substance which naturally occurs in our joints, Hyaluronate will naturally help the joints by acting as an lubricant and shock absorber. This injection, injected directly into the knee to help relieve pain, is only to be administered under supervision by a medical doctor. Today, as of this publishing, Hyalgan is only available as a brand and no generic is available. How much does a Hyalgan injection cost? The cost of Hyalgan injections will depend on your doctor since you will need a prescription for it as well as your health insurance coverage if you were to have it. Wholesale, according to the AAFP, is close to $132 per vial; however, at a patient level, the costs can cost very close to $200 per injection without any health insurance coverage. The dosage amounts will vary based on each individual; however, for adults, who receive the injection via the knee, 20 milligrams will be recommended at least once a week, for a grand total of five injections, which, if successful, can provide relief for up to six months, according to the company. If you were to fall into this category, then it’s best to budget close to $1,000 for a full round of injections to feel pain relief, but when all five injections are purchased at once, some doctors may haggle on the cost as their wholesale cost will be much lower when multiple quantities are purchased at once. 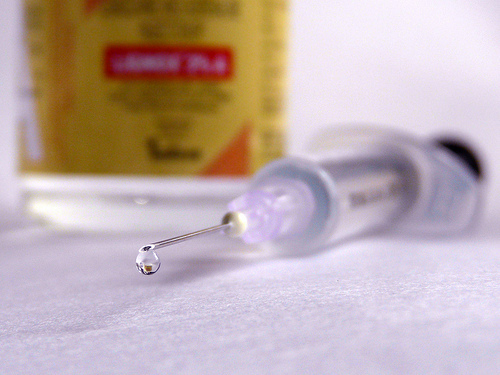 Some patients, however, may only need as little as three injections to notice any pain relief. Seeing most private health insurance companies, as well as Medicare, now cover viscosupplementation, there is a good chance your health insurance policy will cover a portion of these injections, leaving you responsible for your co-pay and deductible limit. Be sure to talk with your local doctor’s office and insurance company to know your limitations and if you would be covered if your doctor recommended the injections. Via the prices listed on GoodRX.com, for instance, most of your major retailers/pharmacy chains, such as Costco, Walmart, CVS, Walgreens, and Kroger, to name a few, all offered one syringe for $200 when you clipped the coupon from the website. Hyalgan, according to the official manufacturer, can provide lasting relief for up to six months and can safely be used up to 30 months, making it a safe choice. The primary ingredient component found in Hyalgan is a naturally derived substance known as hyaluronan, a natural chemical that is found in the body as well as present in joint tissues and the fluid that fills the joint, sometimes referred to as synovial fluid. Possible side effects, similar to most alternative treatment options, can include pain, redness and/or swelling at the injection site or fluid buildup around the joint. This is not a full list of side effects; for a full list, you can visit Drugs.com. Contact your doctor and seek immediate medical attention if you experience any side effects.